The crunch is here and as usual I’m not ready. Precious minutes are trickling away when I could be Accomplishing Things. So, I’ll keep this brief. Sewing World called and the psycho-god scissors were in (pictured bottom right). My willpower shredded under their seductive snipping, and they came home with me. Cutting with them is almost like… hmm, maybe I won’t go there. Let’s just say cutting may no longer be my least favourite part of sewing. The blades are very short, something on the packaging it touting equal length for blade and handle as being important for some reason. Oookay, if you say so. All I know is they cut like… mmmm…. ok, just give me a moment (fans self). The most comfy for the hands are still the old blue ones, though. 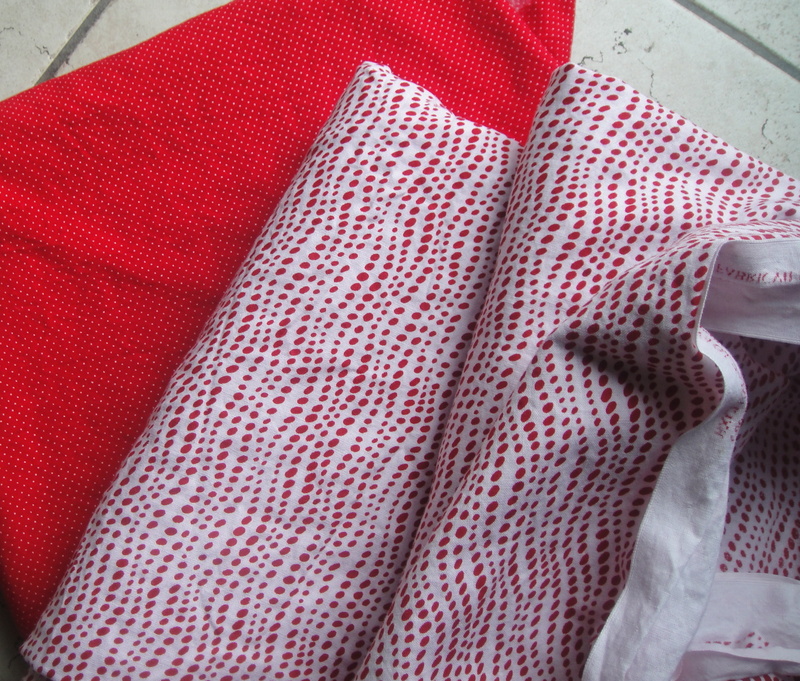 Fabric: for niece's dress (left) and my Lonsdale (right). Yes, a print! 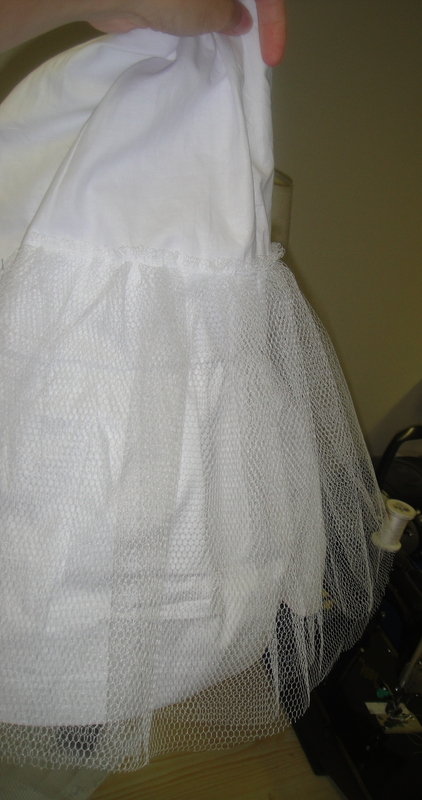 Dress in progress. Not for me. Obviously. 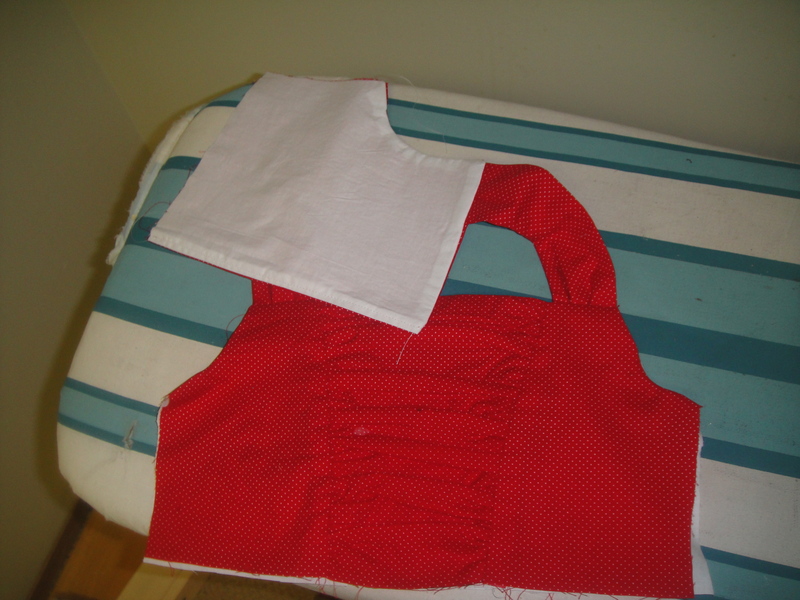 It’s for my four-year-old niece, who very cleverly spent most of the two days I was down there at the end of June telling me how much she loves me, and also how much she loves the red sundress and wants one just like it. Sometimes not even in the same sentence. It’s based off a pattern from the Young Image magazine (I added the front ruching), but as usual I’m off in my own little universe so the finished product will be “inspired by” at best. Also, can you spot my goof in the picture? I’ve made a bit more progress on the coat, then got stalled because I needed more trim. Because 4m of three different kinds of trim was obviously not enough, and I’m a complete idiot for thinking under any circumstances that it would be. And, I’m going to feel really guilty that I have a home-made present for my niece and not for my daughter whose birthday is on Sunday. I’ve been following in Reader, where commenting is annoying, so here is my compilation comment. I can’t wait to see that coat – holy freaking amazing! Bless you for sewing for your niece. That’s going to be an adorable dress. I also feel guilty when I haven’t sewn something for my kids for birthdays and holidays, but I’ve noticed that they aren’t all that excited about sewn gifts. That’s just part of having me for a mom – they have clothes I sew. Which makes it not a fun present, but awesome on a day to day basis. Whereas, for your niece, who isn’t accustomed to the wonder that is a Tanit-Isis original, it’ll be an amazing present. Holy cow, Batman, you’ve been busy…and not just any old projects, oh no, two incredible ones. hmm, guess I need a new scissors. Isn’t it hard when there is so much to do, so many to sew for and so little time ? This would be why I never sew for my kids — too much pressure! Besides, what they want is usually not clothing (one of the delights of having boys, I think). Take a deep breath, do all the grunt work like pins and basting, and it’ll be over before you know it. Oh, and the “grunt work” advice comes from having ripped out umpteen stitches in my quest to do things faster. Faster doesn’t work for me. Those scissors look like fun, but I use a rotary cutter for my major cutting. I can just replace the blade rather than fussing over sharpening, and it also reduces creep in certain fabrics. I got those scissors for Christmas and haven’t had more fun cutting ever. How couldn’t she love the red dress AND you? You get the aunt of the month award for making her a miniature version. 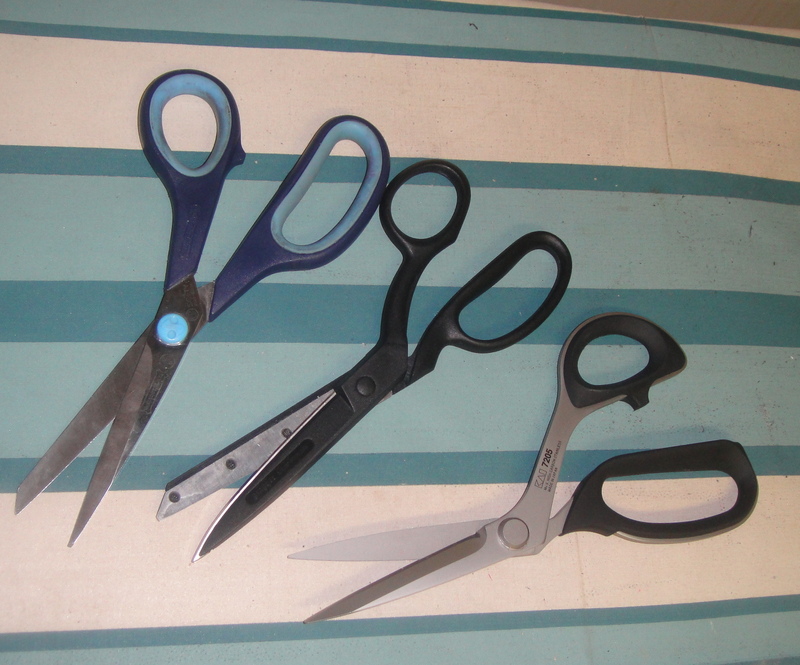 so i have to assume you’ve been using those snazzy new snips like mad for various children (whatever), and you are in the process of putting your head back together after daughter’s sunday birthday. BUT I HAVE TO SEE YOUR PRINT DRESS. IT IS MY BIRTHDAY WEEK AND YOU MUST GIVE ME WHAT I WANT. Oh, Oona, you have no idea how much wish I could! I’m on holiday right now (hence the radio silence) and so NO SEWING! Niece does love her dress, though.